Halloween is any child’s favorite holiday, next to their birthday or Christmas. As a preschool teacher, as soon as the calendar turns to October 1, my students are telling me what they’re going to be for Halloween! It’s THAT important! After buying your kids’ costumes, trick-or-treating, and having epic Halloween parties at school, the next favorite activity in our house is watching Halloween movies! 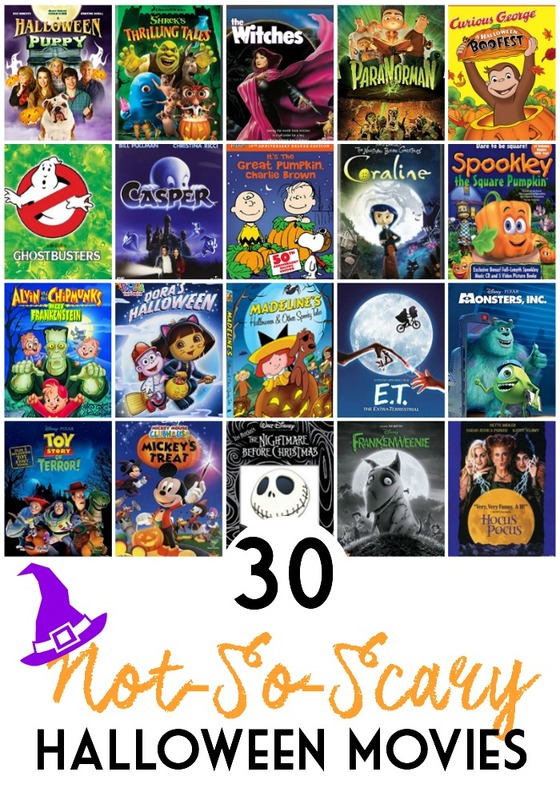 These 30 Not So Scary Halloween movies for kids are a great way to cap off the perfect Halloween night! 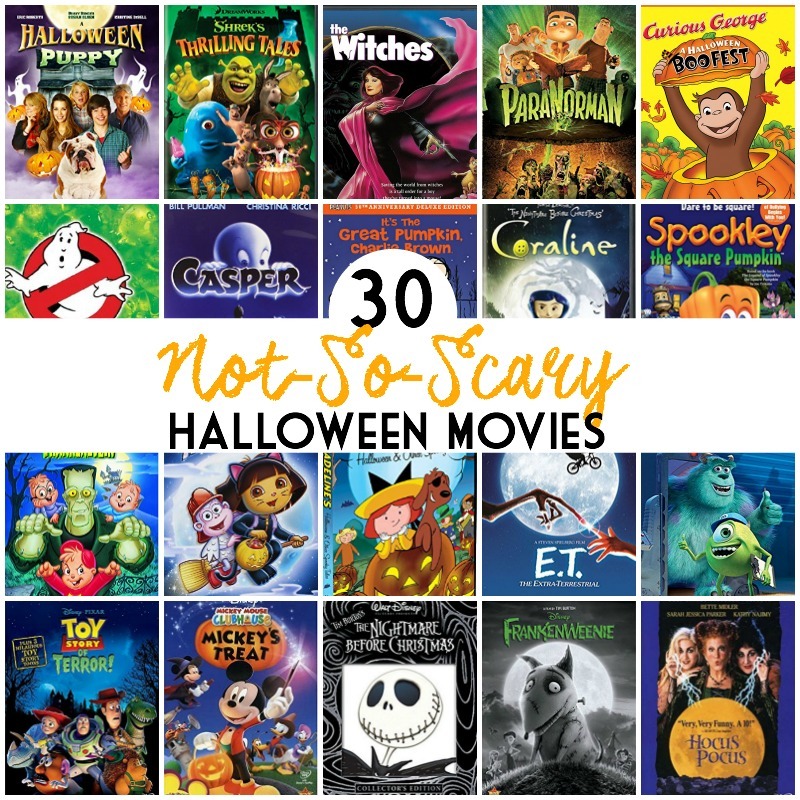 If you have a child who is too scared or even home sick and can’t go trick-or-treating, these movies are a great to pop in for a Halloween movie night! This post contains affiliate links. Please see disclosure policy for more info.